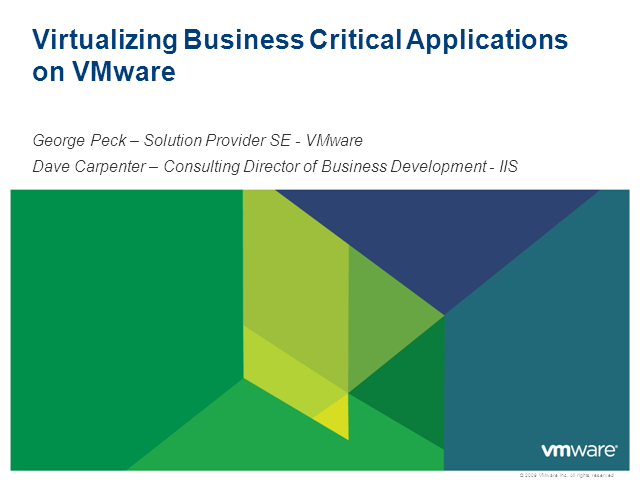 VMware vSphere™ is the industry’s most widely used and customer-proven virtualization platform. It delivers the highest server consolidation ratios in the industry—up to 2X higher than competing solutions—allowing you to get up to twice as much computing done with the same hardware. This means you can run business-critical applications like Microsoft Exchange, Microsoft SQL Server, Oracle Database and SAP with breakthrough performance and outstanding reliability while ensuring that you are able to accommodate multi-tier applications and other emerging application frameworks.